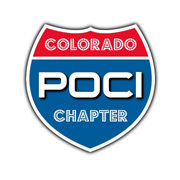 In 1974, the Colorado Chapter was chartered by the Pontiac-Oakland Club International (POCI). It was a group of 18 with a variety of vehicles and a common interest. The group had a common interest in the enjoyment, history, preservation, and restoration of Pontiac and Oakland vehicles. Recently, the organization has welcomed the owners of GMC pickup trucks: Pontiac built V-8 engines for GMC pickups starting in 1955. The chapter has actively supported the Collector Car Council of Colorado (CCCC), since the 1970’s. They have had a chapter member serve as an officer of the Council and many members volunteer to work on Council events. One chapter member has served as a National Director of POCI. The chapter is active in the community with mini car shows and financial contributions to charitable organizations. Generally, events are held in Denver area, but they also hold events in the Fort Collins/Greeley and Colorado Springs areas. Anyone sharing the common interest is welcome at chapter events. The club recently donated a significant number of Pontiac related magazines that had been gathered from several club members to Auto-Archives. Thank you! Copyright Copyright © 2019 Auto-Archives Inc.